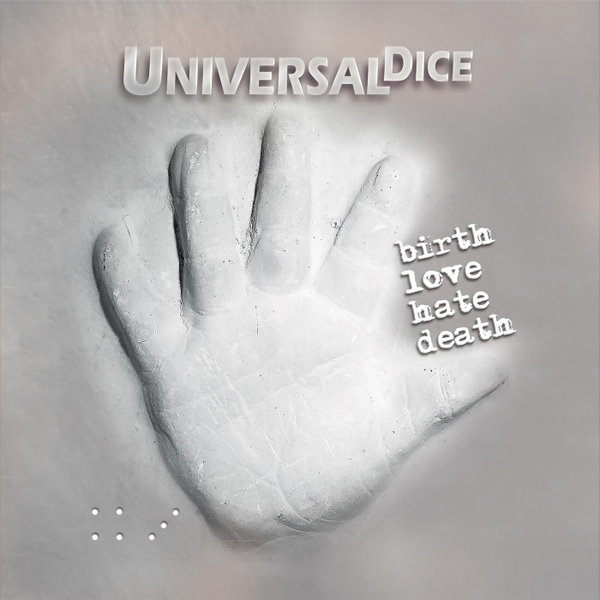 UniversalDice – Birth, Love, Hate, Death – Album Review | The Ark of Music – The best music in the world…you never knew existed. Singer-songwriter, guitarist, producer, political and philosophical writer and activist, Gerry Dantone, does not follow the proverbial musical crowd…to say the least. In a sonic culture where “the single” is king, the public’s pop sensibilities are led by the dangling carrot known as “the hook”, and a hit song is only a hit for a minute, Gerry has just created and released his SECOND rock opera album. He and his Long Island, NY-based crew of musical troubadours form the self-contained unit known as, UniversalDice, and currently consist of: Gerry Dantone (vocals, guitars, programming, producer, mixing, mastering), Bob Barcus (lead guitar, production assistance, website, graphic design), Ed Canova (bass), Walt Sargent (keys), and Vin Crici (keys, production assistance). Together, they’ve forged ahead on previous albums, which include: 2004’s Out of Many, One, 2001’s Mostly True Stories, and their first rock opera, 1999’s My Name is Thomas. All in preparation for their latest effort, the 16-track meg: Birth, Love, Hate, Death, an epic tale written from the perspective of a Mother, her Son, Danielle (the son’s “damaged” love interest), and Sugar Daddy (Danielle’s pimp); four characters who take the hard road. All in all, it is project designed to have an empowering, consciousness-stirring affect on its listeners. Opening the production with, Welcome To The World, Dantone & company pull off a light and airy Steve Miller-esque riff as we welcome the characters to the table of life. Lovely and somber, I Wish I Could Tell You This, plays like a letter from the mom to her son, about all the things kids don’t know—for their own protection. A melding of gentle etheric, electric tones, brightly layered background vocals, and thoughtful writing make it special…. Take Me Home feels like something from Phil Collins as our wounded character, Danielle, finds solace in the equally damaged Son. More of those soothingly etheric electric tones create a melancholy melody in a tale of anxious youth. Be sure to stick around for the solo at 4:51.. I said, Why do you do it? She said, well what does it matter? Our Son sings a sad song of love soured by dark things done in life, in the quick-footed, Danielle, a track which instantly reminded me of The Rembrandts. Sugar Daddy boasts remorselessly in, I Love It When They Hate It, as an Allman Brothers-like riff plays on. Now we’re talkin’. The Boy throws a bluesy pitch at Danielle in Better Man. The Dice make a worthy argument, and in doing so, created something the laymen can use in future loving-persuasions. Despite its liberating conclusion—which is that love is all that matters in any moment—we’re just not sure if it worked out for the Boy and Danielle in the album’s closer, Forever, another gentle acoustic number with strong classic-rock threads. All in all, UniversalDice’s latest album, the future rock opera, Birth, Love, Hate, Death, is an impressive and commendable effort which required high levels of both cerebral and intuitive creativity. We wish them all the best in getting the project produced into a full-blown rock-opera. BELOW: Listen to UniversalDice’s latest rock-opera album, Birth, Love, Hate, Death; and connect with their website and social media platforms. 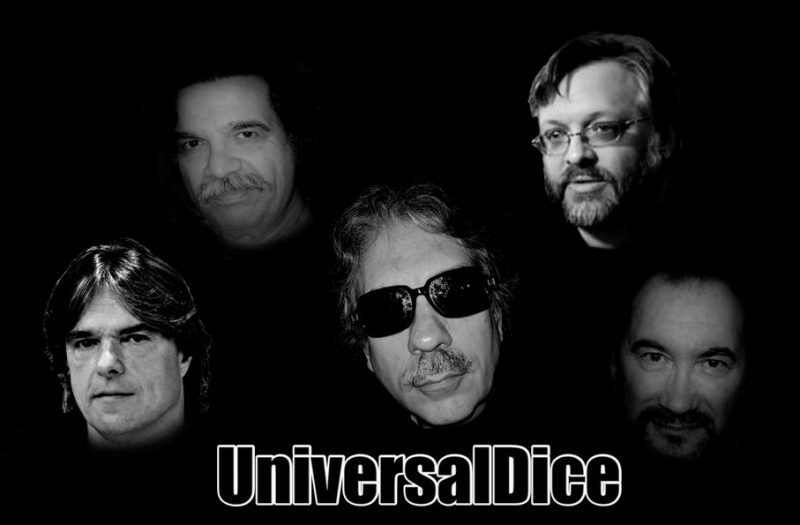 Please support UniversalDice by visiting them online, and playing, downloading, and/or purchasing their music, or attending a live show! And, as always, thank you for supporting real music!